Say whatever bad things you will about the PS3, but have you ever seen an alien bust out of an Xbox 360's torso? I didn't think so. 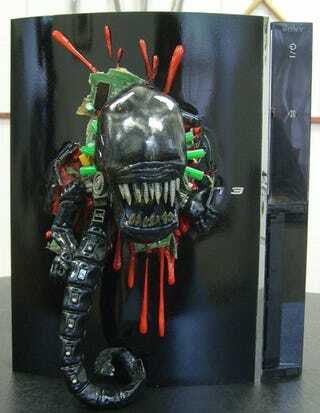 Just in time for cyborg surrealist Hans Rudi Giger's birthday (he's attributed with creating the trademark Alien look), a long-time Alien PS3 modder has completed his latest creation—this far from understated chestburster PS3.